There is a lot that goes into a move. You have to coordinate how many boxes you need, the timing between your move-out dates for your old residence and move-in dates for your new one, and finding out how to move heavy or fragile belongings, like pianos and high-value art, computer systems and other specialty items. Another important concern during the moving process is keeping your floors, walls, and furniture protected while moving out of one home and into another. Far too often, damage can occur during relocation while maneuvering large or heavy equipment around small corners and hallways, across expensive tile, wood, or another flooring, and through tight doors and entrances, which is why hiring professional movers can be incredibly important for preserving the beauty and integrity of your home’s structure and your belongings throughout the course of a move. At Booth Movers, we’re dedicated to protecting our customer’s floors with professional moving services you can rely on. We know how easy it can be to irreversibly damage flooring during the moving process, which is why we’ve put together this guide to help you learn why protecting your floors is so important, and how to protect them when moving furniture during a relocation. Coordinating your own residential move can feel like quite a hectic process, which can make it hard to pay attention to the details. However, leaving the floors unprotected either in the old place or new place can be a costly mistake. Whether you rent or own, you can expect to be affected by a lack of floor protection. For easy review, we have broken down how you’re affected depending on if you rent or own. Forfeit the deposit: If you rent a home,chances are that you paid a security deposit.The security deposit is paid as a guarantee for the homeowner that should there be damages to the house while you were living in it, those damages will be paid for. If you took great care of your home while living in it, you're more than likely to get your security deposit back. If not, you might get some or none of your deposit back, depending on the extent of the damages incurred during your stay. It goes without saying that if you ruin the floors during the move,your landlord will need to spend time and money to repair them so that the apartment can be rented again. Additional Repair Costs: If the damage to flooring is severe, such as deep gouges that require an entire floor replacement or ripped carpet that gets replaced, the deposit may not cover the damage. If this occurs and your contract allows it, the landlord may decide to hold your responsible for paying for the remainder of the repairs even after you’ve forfeited your deposit and moved out. Unsightly New Home: If the damage to the flooring occurs while moving into your new apartment, keep in mind that the damage will be something you’ll need to live with or repair immediately. In addition, even if you aren’t immediately impacted by the damages from a financial standpoint, you’ll eventually need to pay to have them fixed once you decide to move out. Sell for Less: If you owned your own home and damaged the flooring while moving out or moving in, you’re probably going to suffer a decrease in the home value until the flooring is fixed. Insurance Factors: As an owner,, you probably have homeowners insurance. Insurance will help you fix the issue of damaged flooring in the short-term, butfiling a claim to have your floors fixed will probably result in higher premiums. Carry Lighter Items: If the item is light enough, don’t drag, pull, or scrape it across the floor anyway. Lighter items can be carried, and carrying what you can will guarantee that the items won’t damage your flooring in any way. Safe Packing Techniques: Use actual moving boxes for your move, especially for heavier items. Seal the boxes with sturdy, double layered masking tape to prevent heavy items from falling out. If the corners of the boxes are sharp, place tape over them. Basically, the safer you make the box for the move, the safer your floor is. Use a Dolly: Using a dolly saves not only your back but also your floor from harm. The wheels make for easy rolling and decrease the risk of dropping or scraping along the floors. For best results, use a dolly with rubber wheels instead of metal or plastic ones, which can scrape, dent, and mark up your flooring. Carpet Masking: If you have carpet, place covers over it to protect it during the move. 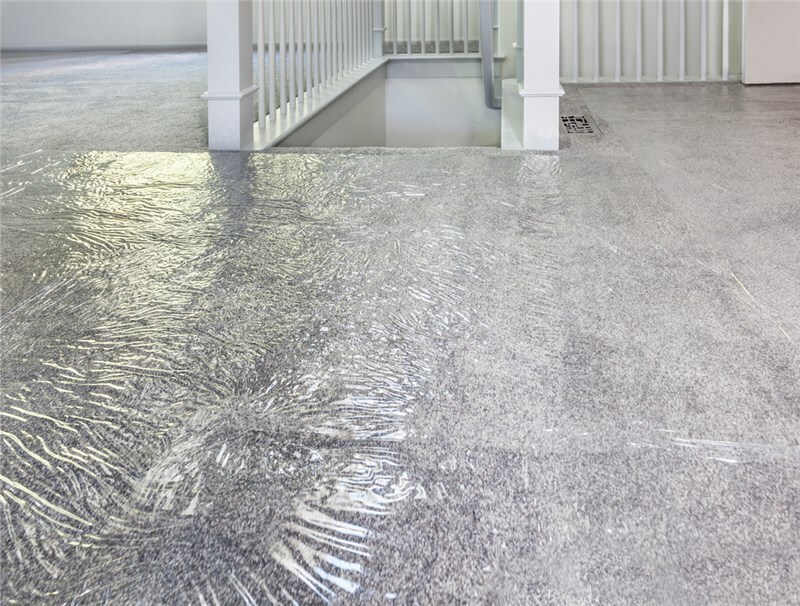 These can be tarps, plastic warp, sheets, cardboard, or other materials, and can shield and cushion your floors from large, heavy, or sharp items. As a certified moving company with ProMover status, Booth Movers is dedicated to helping our customers achieve well-organized, smooth, and damage-free moves. Since the 1940s, we’ve led the industry with superior quality relocation assistance, with specialized services and affordable prices. If you’re ready to begin planning your move, our expert team of professional long-distance and local movers at Booth Movers would love to speak with you about our services. Give us a call to speak with one of our agents now, or fill out our online form to schedule your free, in-house pricing estimate and personalized consultation today.